Did you know that we provide transportation worldwide? Think of us as your one-stop-shop for ground transportation wherever you travel. You definitely don’t have to worry about cell service in Seoul! It is a very modern city and is considered to have the best internet infrastructure and connections in the world. Make sure you put the phone away though to fully enjoy the many temples and four major palaces, including Gyeongbokgung, which is one of the largest and most famous. When sightseeing makes you hungry, check out the Samcheongdong district for traditional restaurants serving bibimbap and Korean barbecue alongside Asian fusion bistros placed in art galleries and restored houses. After dinner, there is plenty to do at night. 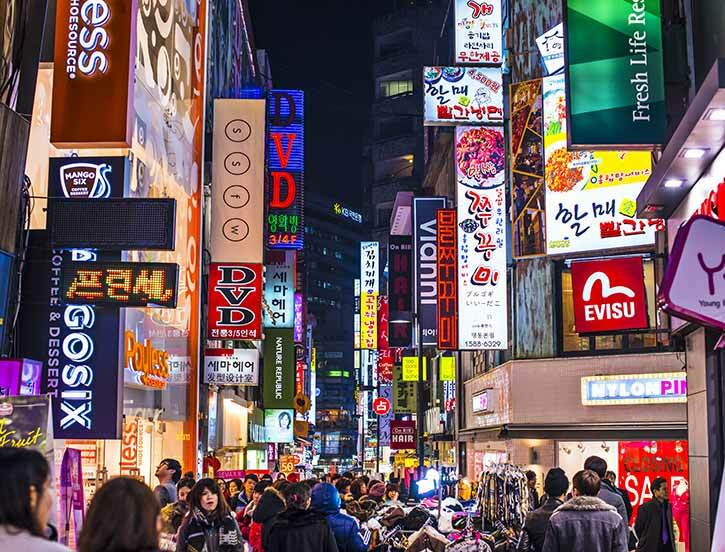 Traditional dance and Korean opera are one form of entertainment, along with shopping at night markets, and visiting the many coffee houses and bars in the Dongdaemun district. Ever been to L.A.? Sao Paulo actually has a lot in common! It is a sprawling city, covering nearly 600 sq miles, and within that sprawl you will find many people and a ton of traffic. To make the most of your time, know a local! Because the city is so large, it is best to be brought around by someone who can unlock the hidden charm. The city also boasts a very diverse population, specifically Italians, Jews, and the largest Japanese population outside of Japan. This results in an abundance of delicious food you wouldn’t expect, like mortadella sandwiches, pizza, and sushi. Much like L.A., Sao Paulo also has a very vibrant nightlife, specifically baladas, or nightclubs. Now to the differences… Sao Paulo is often overcast, which is many times accompanied by rain. Also, unlike L.A. with their many sports team, Sao Paulo is focused on one sport, soccer. They are obsessed, especially with the Corinthians. Lastly, it is recommended to take the bus when you can. There are dedicated bus lines that will get you through gridlock much quicker than any alternative. Yes, you probably already are very familiar with Paris. It is a major global city, large in size and personality. 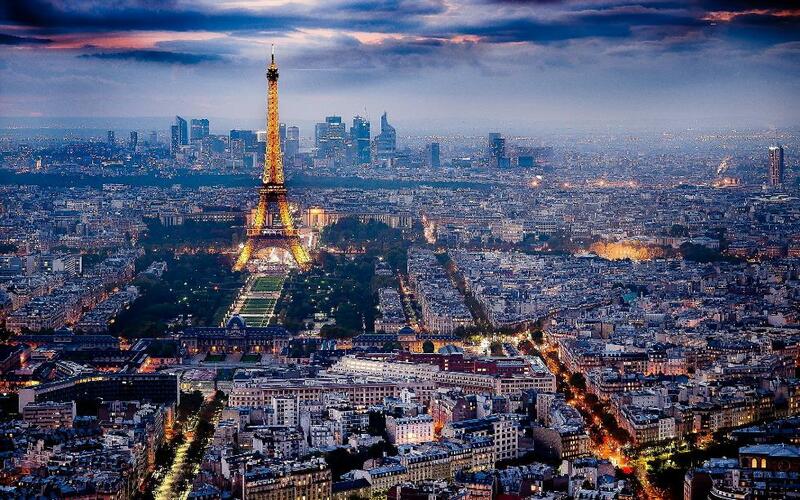 Paris is known as romantic, with the ability to blend in village life and values. Food, fashion, art, and people watching are a few of the favorite pass times, and it is all grand. Enjoy an elaborate meal at a Michelin star bistro, and then luxuriate shopping at a fancy boutique. If you are a foodie, check out the opulent three-star palace restaurants Le Grand Véfour and L’Astrance, or the trendy bistronomiques Lazare, Les Petit Plats, and Spring. And of course, you must see the famous sights and attractions: Louvre, Jardin des Tuileries, Musée d’Orsay, Notre-Dame, Musée Rodin, and many more. Oh yah, and how could you forget the iconic Eiffel Tower! Art and entertainment also take shape through the ballet and opera, classic theatre, and an impressive nightlife. If you find yourself in Dublin, you must make your way to the Guinness Storehouse. Yes, it is the number one tourist attraction, but the view at the top is worth it alone. (Oh, and the free beer!) Other attractions you should see, which are all walkable, are the Dublin Castle, Christchurch Cathedral, the city’s numerous parks, and Trinity College which is home to the famous Book of Kells. And if you were interested in any of the city’s national museums and galleries, they are all free! Once it’s time to eat, try and take advantage of the ‘early-bird’ special at a local pub where you can get a starter and main course for between €9 and €20. What should you order? Try the Irish stew, coddle, boxty, or fish-and-chips, and make sure you order some soda bread! Also, you must enjoy at least one traditional Irish fry-up a.k.a. breakfast. Even though it is the world’s most populous city, Shanghai doesn’t feel it. Wandering and eating is the name of the game. Walk the promenade for views of Pǔdōng’s skyline or check out the world’s highest observation deck in Shanghai’s tallest tower. If you want a taste of nature, walk through Shanghai’s green heart, the People’s Square, where the Shanghai Museum exhibits Chinese bronzes, ceramics, and silk scroll paintings. If your focus is on eating, head to the family-run restaurants in Old City to tackle some hairy crabs. For an elegant bistro experience, enjoy pan-Asian cuisine in the French Concession. Later in the day you can check out the flaming woks and market banter at the Yunnan Lu night market, dishing up noodles, duck, and deep-fried scorpion. Sights are certainly fixed on the future, you’ll still find the glamour of the past along the Art Deco Bund and French Concession’s colonial boulevards. Oh! And don’t forget to sample barbecued squid or indulge in sweet dumplings: Qībǎo corners the market for Shànghǎi street food. Are you traveling soon and need transportation? Whether it is a simple airport transfer, or group transportation for thousands, we can provide you the safe and reliable service you expect from us anywhere in the world. Just request a quote online or reply to this email, and we will take care of you. With epic blizzards in the news, the northeast might be seeming a little cold and forbidding. Escape the snow by leaving your car and shovel at home. Hop a ride to the airport, and take this opportunity for some fun weekend getaways in the lower 48. World travel can be intimidating for new jet setters, but it doesn’t have to be. There are plenty of traveler friendly cities, especially if you use these international travel tips to help you find the right destination. Discover some of the safest and friendliest places abroad, based on facts and popular votes compiled by US News and World Report Travel.